Terrariums were originaly used in curiosity cabinets or research labs as simulated portion of an ecosystem for a particular species on smaller scale. 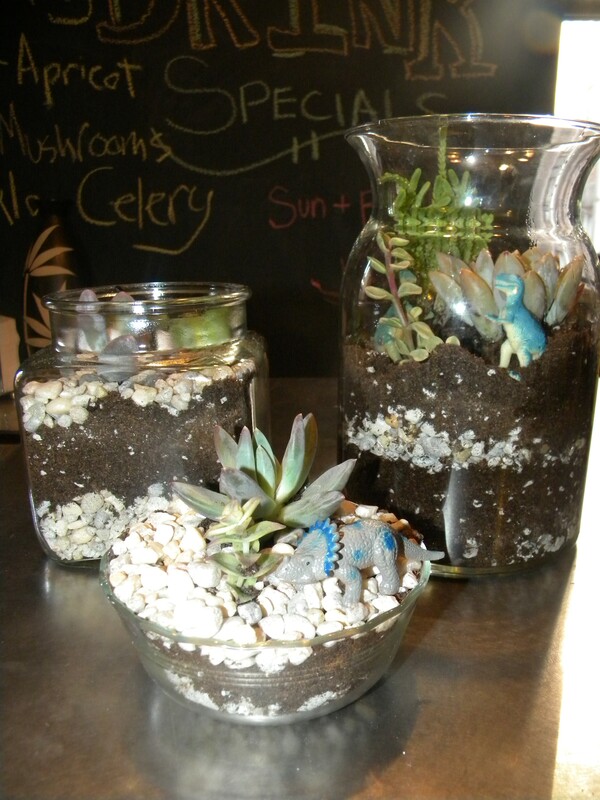 A terrarium is built to mimic the natural ecosystem of said plants, with controls for the environment that would appear naturally such as rocks, lava, peat moss, etc. A terrarium is particularly for land based species with a focus on dry habitats or woodlands, but I bet you can recognize some of the other conjugations of the word’s latin root – Aquariums, Insectariums, Vivariums, Planetariums, and Paludariums. A terrarium is mostly commonly in a transparent to translucent container, such as glass, so as to allow for observation of growth! 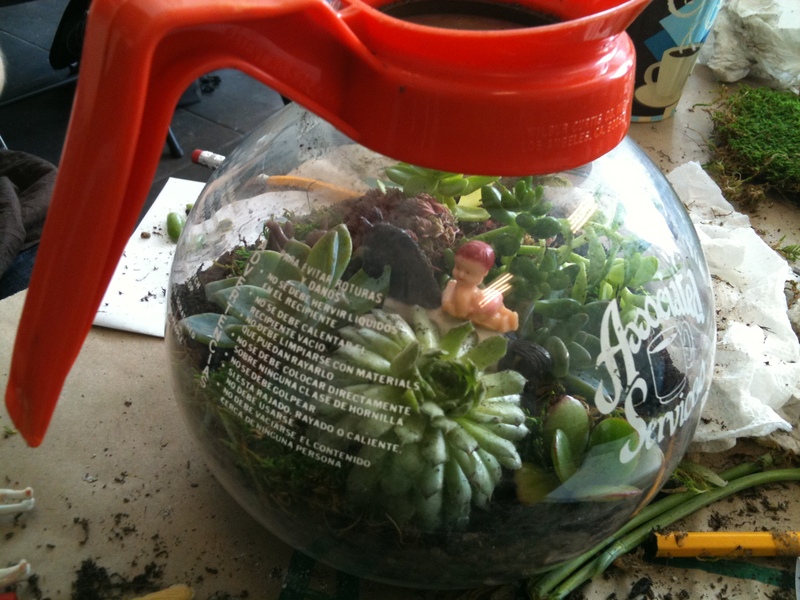 The bringing of the art of the terrarium is generally credited to a man penned Nathaniel Bagshaw Ward. He published a book called “On the Growth of Plants in Closely Glazed Cases” in 1842. Terrariums were all the rage during the Victorian Era. During this time period a terrarium was actually known as a “wardian case”, the style of the case looks very similar to a gas lantern or a moroccan lantern, cast in steel with clear plate glass walls. A terrarium was considered a craft and a hobby by the women of leisure, they were obsessed with collecting exotic plants, feathers, shells, and taxidermied animals as a way to show off one’s skill, design, and curio cabinets. I prefer my terrariums to be a bit less serious than those during the 19th century. Today’s DIY is dedicated to making a terrarium as cheaply, quickly, and yet beautifully as possible (clearly I like adverbs). Step One: Find a friend! You can obviously make a terrarium by yourself, but it’s more fun hunting down supplies and running errands with a friend. I chose Kimberley, if you have a friend named Kimberley, choose her too for the sake of proper duplication! 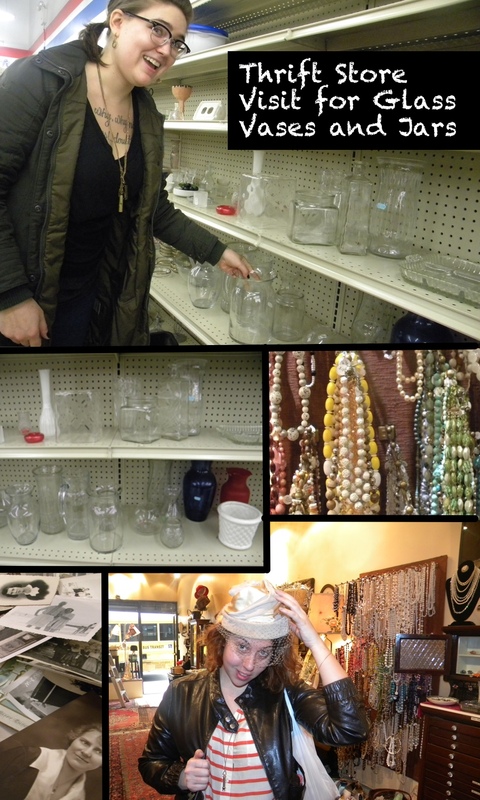 Step Two: Go to a Thrift Shop (try on hats, jewelry, and ephemera) but also buy a glass vase with a large mouth for less than $2.99. Kimberley’s was $2.99 and mine was $1.99. Vases of the same shape and construct run into the $30.00’s-$100.00’s for new ones! Step Three: Go to the $0.99 store (aka the Dollar Store, where most things are actually $3.00-5.00 dollars in NYC) for toy dinosaurs! We placed ours in the terrarium scene to mimic the Jurassic, Mesozoic, and Cenozoic era – they look as though they are walking among the ferns. You can also create a scene with toy soldiers, snowmen, or any other miniatures available. The sky is the limit when one’s imagination is involved. 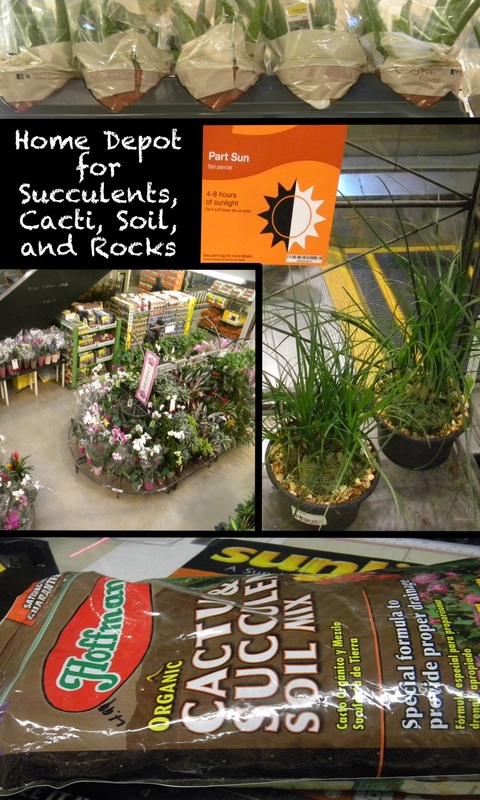 Step Four: Go to Home Depot or your local Mom-And-Pop hardware store to collect “Succulent and Cactus Soil” (important for drainage, succulent’s roots cannot be WET, they begin to ROT and smell), a bag of rocks (planting rocks, small to medium, again for drainage, these things do not want to be WET). These ingredients cost about $10.00 total. 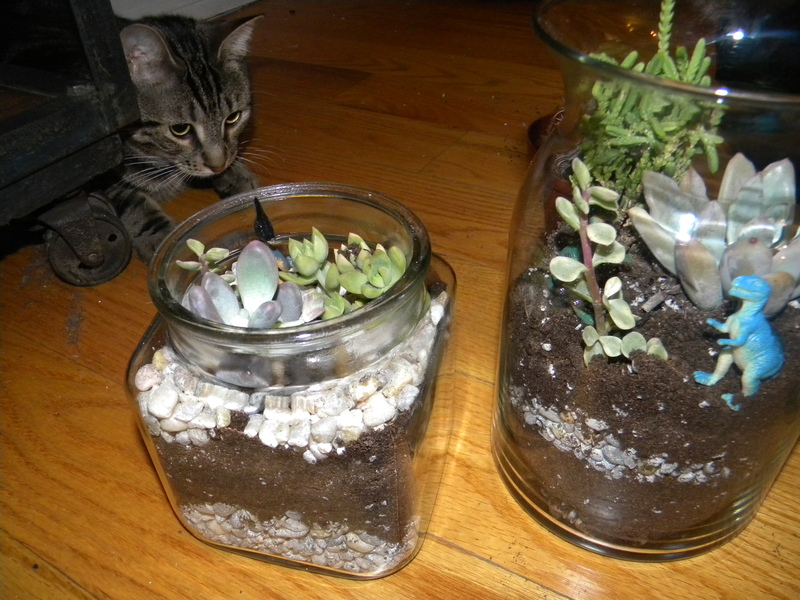 Step Five: (or maybe Step One) Purchase succulents or cacti in bulk online for cheap HERE or HERE. They came quickly (2 to 3 days), expertly packed, and healthy! You can also buy these in person at most florists or some hardware stores. 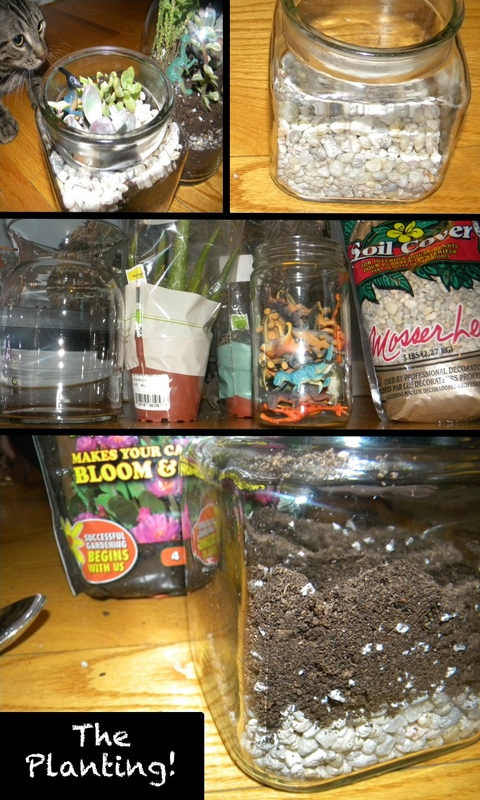 Step Six: Place rocks on the bottom layer, then soil, then plant your plants, the rocks again! You can layer these as many times as you like, think about when you were young, at the carnival, and you used to make SAND BOTTLE ART. Oh hello Mr. Cagney Ferdinand Toledano-Veisblatt. You are a cat, you aren’t supposed to be a vegetarian! Why do you always chew my lucky bamboo, aloe, and greenery? Step Seven: Place dinosaurs! Et Voila! Find a suitable spot in the house for your designs. Preferably a place that gets sunlight for part of the day. 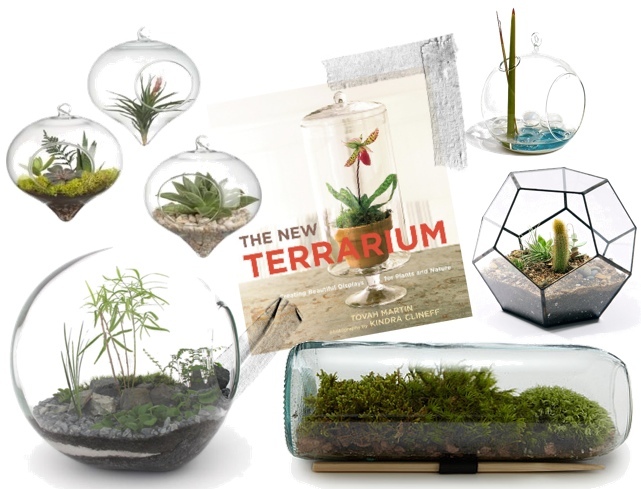 If you don’t have time for, or just plain don’t feel like DIY-ing, Terrariums can be purchased online in a pre made kit, or even in fully formed and ready to send varieties (try here or here or here)! If you want to learn more about this art form, I would highly suggest buying Tovah Martin’s The New Terrarium. Aside from being informative it also makes a lovely coffee table book.